We’re in this business because we love it. Along the way, we hope to make a reasonable income. 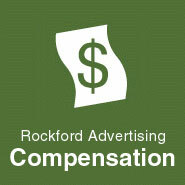 Compensation is a factor in any client/agency relationship. The termination of many client/agency relationships is often due to a disagreement or misunderstanding over agency compensation; unexplained or unexpected bills, excessive costs, or budget overruns. As your marketing partner, our job is to help you get the best results for every penny you spend, and we want our relationship to be a long and positive one. So we developed an agency compensation structure that is up-front, simple, fair, and responsive to our clients’ needs. We charge for our services on an hourly fee basis. To make things simple, we charge one basic hourly rate for all marketing and creative services. Whether it’s strategic planning, concepting, writing, design, or production, it’s all the same rate. And, our hourly rate is very reasonable. We don’t charge for travel time. We don’t “nickel & dime” you for basic office expenses, such as long distance phone calls, photocopies, or postage. Our offices expenses are included in our hourly rate. This is the way most clients prefer to work these days. During our initial discussions or strategic planning process, we will identify specific projects or develop a complete marketing program needed to implement our strategies. As part of this planning process, we will research all costs and present you with a written “bottom line” proposal for the project or marketing program. This signed, written agreement defines the services, parameters, payment terms, and total cost for the project or program. This way, you know your costs up front. No surprises. No budget overruns. Most of our clients work on a program basis, where all marketing services and media placement costs are grouped into one comprehensive marketing plan for a fiscal or calendar year. This approach consolidates total marketing costs into monthly payments and allows clients to forecast their marketing expenditures.